DSATM was founded by a noted reformer named Late Sri Dayananda Sagar in order to fulfill the need of formal education to the world, It is one of the best institute in providing education, with the focus being highlighting the needs of research and technology, the main purpose of the institution is to empower the students about the recent changes in technology and research and make them understand the need of Inclusive and Sustainable technolgies. DSATM offers students a 2-year full-time MBA course with all the combinations and specializations with a sanctioned intake of 60 students to the program. The college offers the MBA program in specializations into Marketing, Human Resources, Research and Statistics, Finance, General Management, Economics & Environment. Companies like Airtel, Reliance, JP Morgan, TCS, Wipro, E&Y, ICICI, Northern trust and many more companies have recruited students from DSATM. Separate hostel facilities are provided to girls and boys with facilities like good dining, spacious rooms, 24/7 water facilities, Internet facilities and many more. The infrastructure of the college is marvelous among all the colleges in Bangalore and thus it is the best part of the college. The faculties are friendly and provide subject wise notes to make the students score well in the exams. This college has the best faculty among all the other colleges. The placement opportunity in this college is good and the students are placed in reputed companies with a good pay. Fests and other events are conducted in each semester both cultural and technical to make the students actively participate in them. what will be fee structure for engineering through entrance exam and cut-offs? It is a private college affiliated to Visvesvaraya Technological University (VTU) and the syllabus is designed as per the industrial requirements. The college offers courses like MBA, B.E/B. Tech, B.Arch. and MCA. The overall fee for B.E courses offered in this college for a period of 4 years is 1.80 Lakhs, for MBA the fee is INR 1.08 Lakhs for 2 years, for B.Arch. the fee is 2.25 lakhs for 5 years and for MCA the fee is INR 1.63 Lakhs for 3 years. The candidates have to clear KCET exam in order to get admissions for B.E courses offered in the college, for obtaining admissions for post graduate courses like M.Tech and MCA the candidates have to clear PGCET exam and the students of Karnataka and other state have to clear the COMEDK exam in order to get admissions for B.E courses. 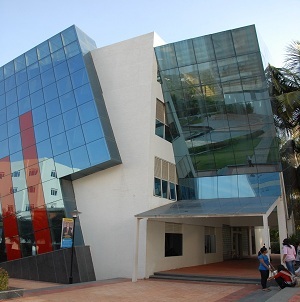 The college provides 100% placement opportunity to all the students in reputed companies with good salary package. The highest salary offered was 12 LPA and the lowest was 2.5 LPA. The average salary offered to the students was in the range of 6-8 LPA. I got comedk rank 16000 can i get seat in dsatm cse branch? Are you Interested in " Dayananada Sagar Academy of Technology and Management"? Please provide the following details.